The hospitality marketing industry has a reputation for always being ahead of – and maybe even starting – the major trends in the industry. 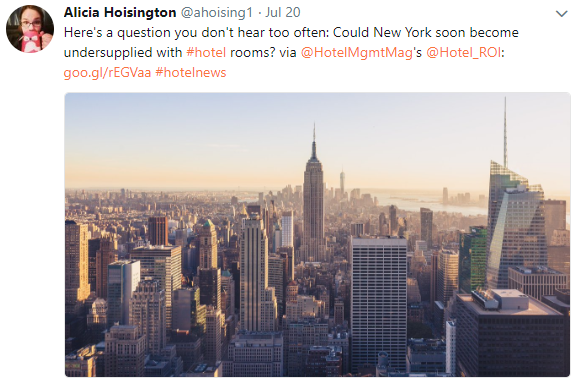 It shouldn’t come as a surprise then that many of the most influential voices in hospitality marketing take to social media to spread their influence. What we’ve noticed about those with the loudest social voices in the industry is that they’re straight players. The seven influencers on our list take to social media with hard-hitting, no-nonsense advice on generating results in the digital landscape. 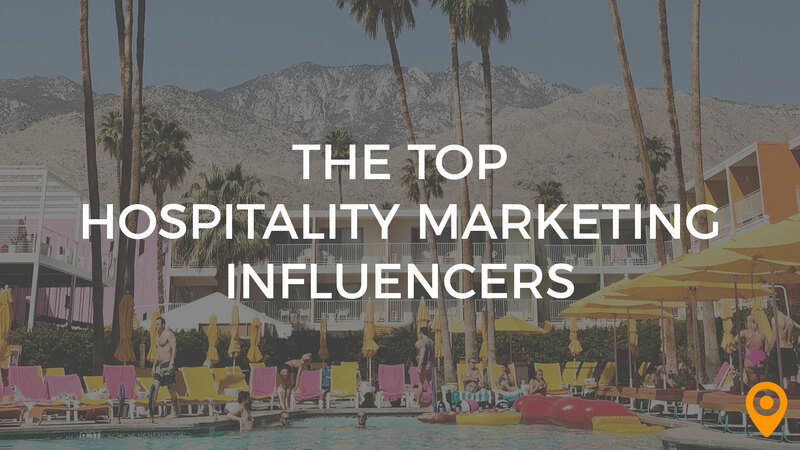 If you’re a professional that’s always looking to level up their marketing game in the hospitality industry, these are the social influencers you should start following today. 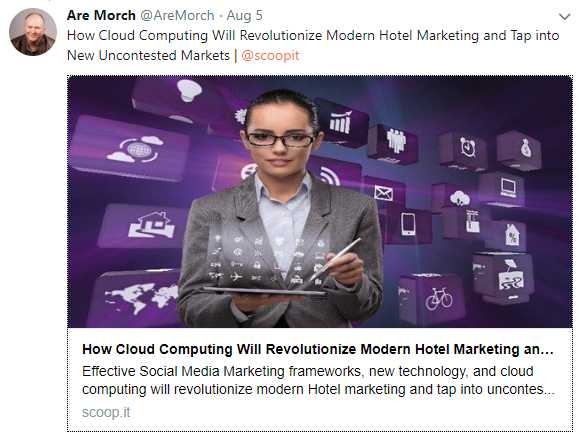 Are Morch is a professional hotel blogger and social media consultant that knows more than a thing or two about marketing and influence in the hospitality industry. His Twitter feed, with nearly 10k followers, is packed with nugget after nugget of hospitality marketing gold. With a background in hotel management, IT and customer service, he’s learned firsthand what it takes for hotels to experience growth in a super competitive industry. If you spend much time on social media, you know that sometimes the biggest punches of engagement don’t come from the accounts with tens of thousands of followers. This is a big part of the reason why micro-influencers are so hot in digital marketing at the moment. If you aren’t already familiar with her, we’d like to introduce you to Alicia Hoisington, an influential voice in hospitality marketing that you’re going to want to keep an on. As a freelance writer and editor, she has a fresh perspective on marketing. Check out her Twitter feed and contributions in Hotel News Now to see for yourself. Not to be confused with Loren Gray, the teenage YouTube sensation with millions of followers, this lorengray is the epitome of influence in the hospitality marketing industry. With a bio that includes being Founder of Hospitality Digital Marketing, a prominent keynote speaker and published author, he’s made a life out of helping those in the hospitality industry optimize their digital marketing power. Check out his Twitter feed, where nearly 5k followers are learning from this master in the industry. 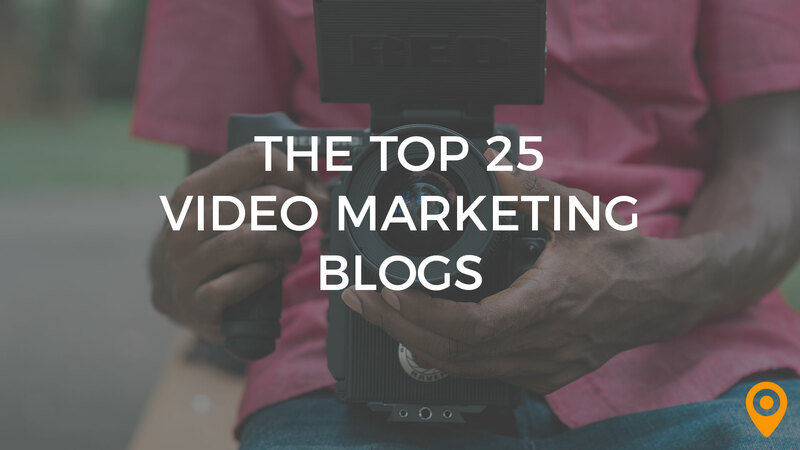 Veronica Stoddard is travel editor and content marketing consultant that has earned a major following on social media, including an audience of more than 54k on Twitter. As former travel editor of USA Today, she has her finger on the pulse of the trends that are fueling the travel and hospitality industry. While she’s become a major influential voice in hospitality, you won’t find her promoting a lot of fluff just start a conversation. Instead you can turn to her on social media for guaranteed insights into how to engage audiences in the hospitality industry. Who better to turn to for advice and inspiration than a man who runs his own social media strategy and reputation management firm. Daniel E Craig is the Founder of Reknown, a global consultancy with a mission to provide organizations with strategies and best practices to build solid reputations and grow their businesses. As a social media influencer, Daniel Craig provides thousands of followers with on point advice about shining in the competitive world of hospitality marketing. Tim Peter comes to social media with a background in e-commerce and online marketing. While his area of expertise expands beyond hospitality marketing, the knowledge he brings to the table is of value to anyone in the industry. 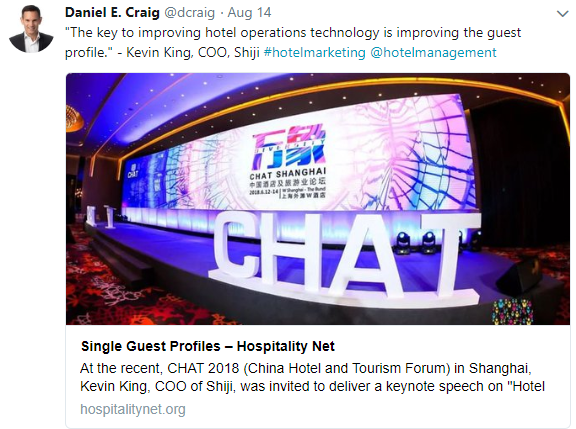 Checking out his Twitter feed, you’ll find information and advice that matters for the modern hospitality industry – like “Why AI Will Change Hospitality Marketing Forever”. He keeps his followers on social media happy by being active and engaged. Take for example how his more than 5k Twitter followers typically have the chance to gain prime marketing insights from this expert several times a day. Martin Vincent is an internationally recognized SEO expert who is no stranger to helping businesses in all industries, including hospitality, grow well beyond their current expectations. In addition to building an impressive audience on social media, he also operates Local SEO Business Solutions where he provides the full range of digital marketing services to his own clients. If you’ve been looking to optimize your strategy by amping up SEO practices, you don’t want to miss a single one of his Twitter posts. Hospitality marketing is an exciting industry. With an industry that’s focused on leisure, marketers must always be on the lookout for fresh trends that spark engagement. 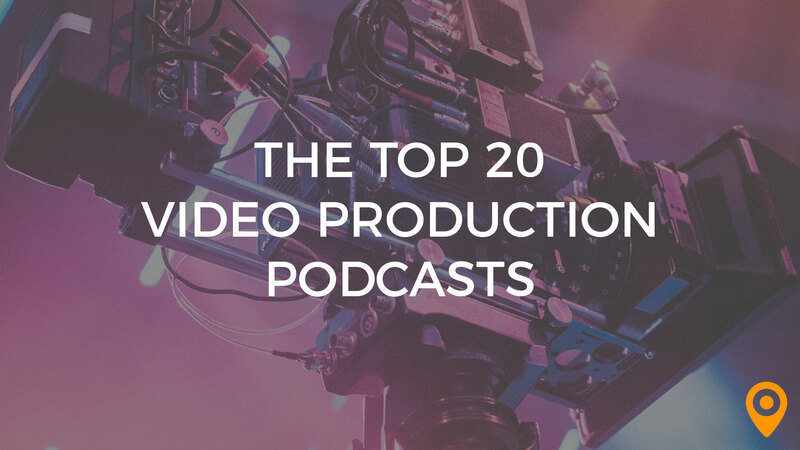 The social influencers on this list can help keep you in touch with everything new and relevant in the industry. If you’re a hospitality marketing agency that’s looking to be part of growing community of marketing professionals, then we’d like to talk to you. 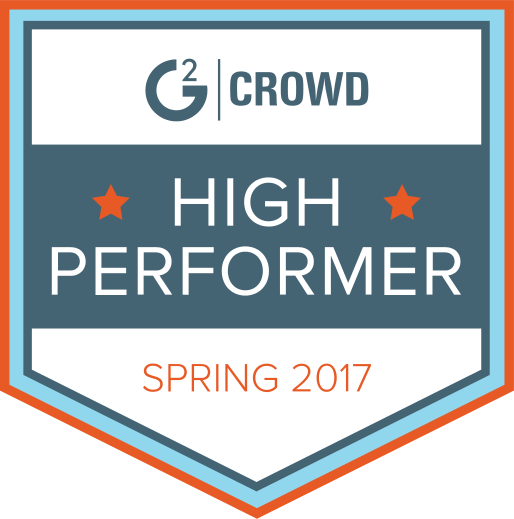 We’re dedicated to building communities and making it easy for clients to get in touch with top notch agencies. Contact UpCity today to learn more about us and our agency partners.